So I made a thing! BTW it’s supposed to be water-cooled with a radiator and a 600cc square four engine just like an old Ariel. 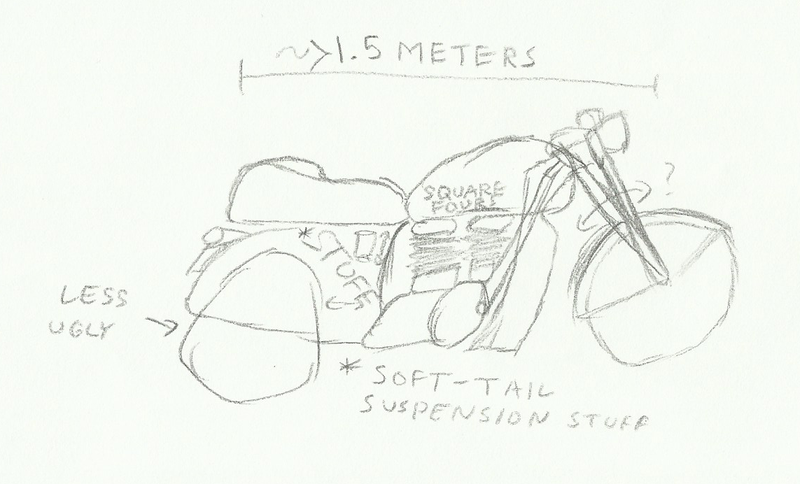 It’s supposed to combine the best aesthetic elements of my favorite British, German and Japanese bikes into a casual-riding, 90-degree knee-bend bike.